hair replacement solutions | Stylistic Inc. If you have recently experienced significant hair loss or a tough health diagnosis, you might be considering getting a wig for the first time. For many women, wigs provide a sense of confidence and peace, and also allow women to show off their personal style. 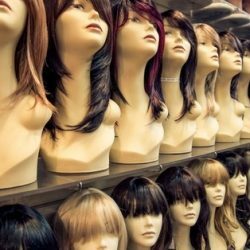 If you are looking to get your very first wig, there are several things you should keep in mind before you start your search. If you start to search for a wig for the very first time, you don’t necessarily need to know exactly what you want but you should go into it with some idea of what you’re looking for. Do a little bit of research and understand what type of wig you feel comfortable purchasing or might be interested in. Understanding some of your options is important so you don’t feel totally overwhelmed when starting your search. Whether you are experiencing hair loss or recently received a cancer diagnosis, getting a wig for the first time can be an emotional experience. Make sure that you are going to a salon that you trust is reliable, professional, and considerate. Stylistics Inc. offers a free, one-on-one consultation with a caring stylist and also has private rooms if a customer would prefer one. Don’t be afraid to sample several different wigs in order to understand what your personal preferences are. Try different color, cuts, and so forth in order to find what you feel most comfortable in. Choosing a wig is a big decision and you should take your time when making it and consider all of your options. If you’re starting your search for a wig, contact Stylistics Inc. to help you find the right one the first time.